Martin O'Neill: "Not every side is capable of playing in the manner that Barcelona or Real Madrid want to play." Martin O'Neill hopes that the Republic of Ireland will evolve into a better passing side "over time", but said "it's always been the case" that the team has leaned on a more direct style of play. Dundalk boss Stephen Kenny recently argued against the idea that a more cultured approach to the game goes against "the DNA" of Irish players, talking up the "greater reward" of playing expansive, possession-based footballer. 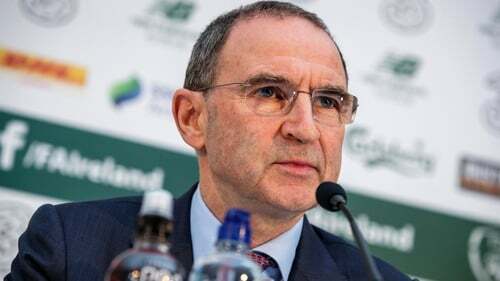 O'Neill, speaking at the announcement of his squad for the games against Northern Ireland and Denmark, said the debate about Ireland's approach is nothing new, and that changing it will not happen overnight. "Over the years, if you go right back to Jack Charlton’s day, he was criticised for a direct style of play," he said. "He left out a quality player, Liam Brady, but he also had some excellent players. He had his own way and was very successful. "Roy Keane and Robbie Keane, who were both fantastic footballers, have said it’s always been the case with Ireland. "No matter how many good players you might have, it has been that sort of way. Eventually, you are be hoping over time that things will change. "But not every side is capable of playing in the manner that Barcelona or Real Madrid want to play. "Hopefully that will change, maybe in the next number of years that will be the case. Sides getting it down, getting to play it, being very comfortable with it. "Over time, that has to be a good thing but you have to try and win some football matches as well. "The Republic of Ireland haven’t qualified for that many competitions. It can’t always just be about the style of play. It has to be a mixture of players and a lot of things." O'Neill named four uncapped players in his panel today. Caoimhin Kelleher (Liverpool), Jimmy Dunne (Hearts), Ryan Manning (Rotherham United) and Michael Obafemi (Southampton) all get the call though it's unlikely any of them will be involved for the must-win Nations League game in Copenhagen in 13 days. Ireland face the North at the Aviva Stadium on Thursday week. Defenders: Seamus Coleman (Everton), Cyrus Christie (Fulham), Matt Doherty (Wolverhampton Wanderers), Richard Keogh (Derby County), Shane Duffy (Brighton & Hove Albion), Ciaran Clark (Newcastle United), Kevin Long (Burnley), Jimmy Dunne (Hearts), John Egan, Enda Stevens (Sheffield United), Darragh Lenihan, Derrick Williams (Blackburn Rovers), Greg Cunningham (Cardiff City). Midfielders: Robbie Brady, Jeff Hendrick (Burnley), Harry Arter (Cardiff City), Conor Hourihane, Glenn Whelan (Aston Villa), David Meyler (Reading), Alan Browne (Preston North End), Shaun Williams (Millwall), Richie Towell, Ryan Manning (Rotherham United), Callum O'Dowda (Bristol City), James McClean (Stoke City). Forwards: Shane Long, Michael Obafemi (Southampton), Scott Hogan (Aston Villa), Sean Maguire, Callum Robinson (Preston North End), Aiden O'Brien (Millwall), Ronan Curtis (Portsmouth).